Written and Directed by Matt Hawkins. South Australian Playwrights Theatre. Bakehouse Theatre, Adelaide. 23 May – 2 June, 2018. Can a piece of theatre cross cultures and manage to entertain audiences all along the demographical spectrum? Can it do so by combining elements of serious drama and character detail with almost-farcical comedy? This one certainly can. Centering around the by-now familiar news story of a Westerner targeted by an online scammer in Africa and persuaded to part with a substantial amount of money, writer/director Matt Hawkins brings mature insight and a perceptive eye to his multi-dimensional story. He also regularly manages to make us laugh – sometimes uproariously! 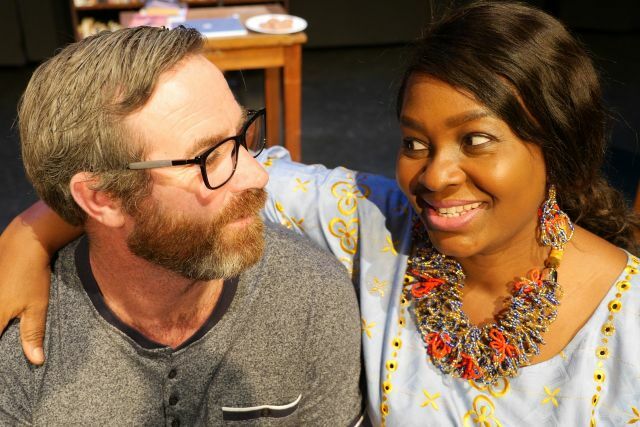 Brendan Cooney makes Frank into a thoughtful, believable individual, while Kimberley Fox is appropriately forthright and strong-willed in the role of daughter Tracy. 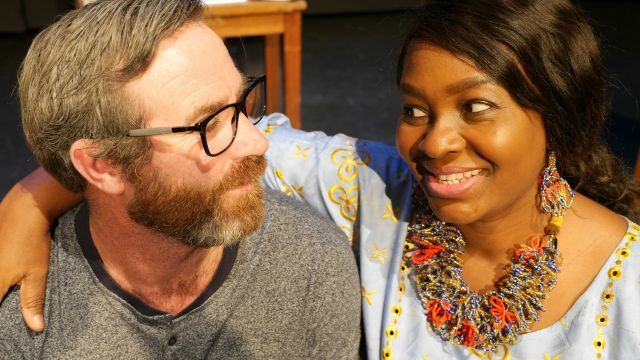 The wildly likeable and charismatic conman Ishaku is brought to wonderful life in the performance of Stephen Tongun, well-supported by Sheila Ablakwa as Jamilah, the woman whose reserves of patience – and capacity to stand by her man - may be at an end. Frank Forbes & the Yahoo Boy accomplishes a great deal underneath its seemingly modest outward appearance. Drawing on true-life experience to tell its quirky, intriguing tale, this is a most satisfying new work that features no simplistic black-and-white villains or saints, just characters as flawed and complicated as the most interesting people in life usually are.